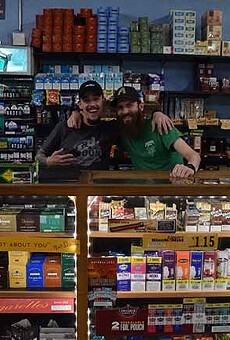 For those of us who must always be enveloped in a haze of sweet smoke in order to think straight--whether that smoke be from a hookah, an imported British cigarette or from some other burning plant--the smoke shop is paramount. Too many of these places seem like private clubs or fly-by-night entrepreneurial whims. Not Hippie Gypsy. There, you will find professional, friendly staff members who really know what they're talking about, and they are willing to treat neophytes and old hands with the same degree of respect. Plus, where else are you going to get your Janis Joplin T-shirts?